Subscribe to receive posts via email and up that inbox count! Unfiltered thoughts from an unbalanced mind. 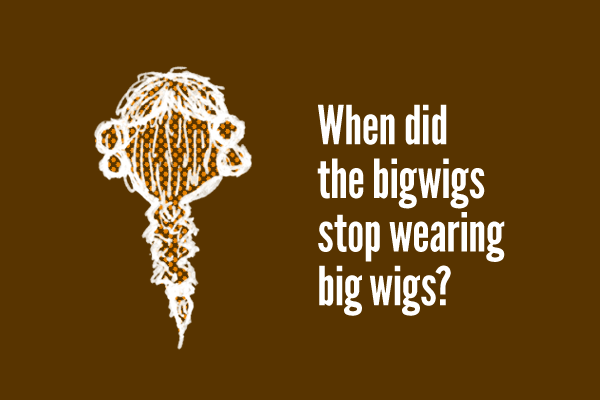 Did they ever wear big wigs? I sure hope so. Logically, I would explain that X’s sort of resemble someone with outstretched arms — like a hug — and O’s could represent an open mouth — a pretty big kiss, no doubt. According to Wikipedia however, X’s generally represent kisses and O’s the hugs, which kind of spoils my explanation.